In a move that could severely affect the whole cryptocurrency industry, Chinese authorities are currently planning to shut down domestic bitcoin exchanges across mainland China. A draft of instructions to ban Chinese platforms from offering virtual currency trading to customers has been created by the country’s central bank after the government spent months scrutinizing the cryptocurrency market. Just last week, China banned initial coin offerings (ICOs) to prevent fraud and illegal fundraising using virtual currencies. Since the beginning of this year, Chinese regulators have been investigating the country’s domestic market for bitcoin and other virtual currencies. Officials had previously considered using anti-money laundering rules to have more control over bitcoin exchanges but it seems now that they have chosen to take a stronger approach as virtual currencies have skyrocketed in value over the past year. One of the main reasons that virtual currencies became so popular in China is that citizens saw them as a way to bypass the traditional banking system to move money outside of the country. Apparently officials from the central bank and regulators considered a wide variety of options over the past few months but in the end a consensus was reached to shut down virtual currency exchanges within mainland China. China’s thriving cryptocurrency market has now begun to go underground as more and more individuals have opted to send virtual currencies to each other using private addresses. 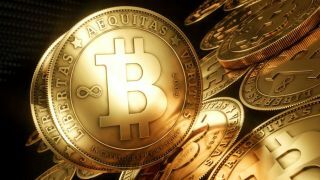 Noncommercial trading of virtual currencies is likely to continue as it would be too difficult for the government to crackdown on individuals as it does not possess the resources necessary to do so.